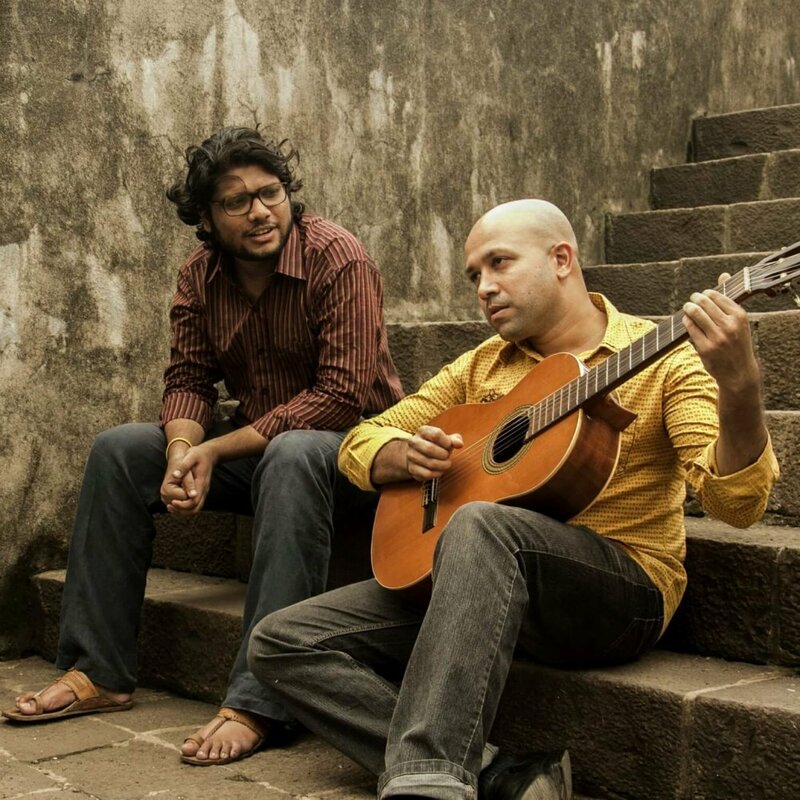 Hailing from India, story telling through guitar music has been the idea behind the music of Bombay Acoustic People ever since Sankarshan Kini and Anurag Shanker met back in 2013 and started writing together. They seamlessly blend acoustic and folk sounds with world music influences. 2015 saw the release of their first album called ‘A Reclaimed Interval’ and this was taken on tour to several clubs and cafes across Europe including the Jazzahead! Clubnight in Bremen, Germany. The music is a refreshing and organic attempt to make people slow down in today’s hectic lives and paint pictures on the canvas of their imaginations. Acoustic guitar duo Bombay Acoustic People bring forth more introspection into their unique sound and arrangements of nylon and steel string guitar with ‘Postcards’ – their new EP. Their ‘Postcards EP’ presents 5 songs about moments and feelings that most of us can relate to. The stories behind each song on the EP are explored below. Following the tragic passing of Robin Williams in 2014, this song is an ode to the troubled soul behind some of the funniest, happiest, loved and moving characters portrayed in cinema. The Bombay monsoon tends to slow everyone down in their own way. It makes you take a pause and introspect. This song was written over breakfast on a rainy Bombay morning. Imagine the world many thousand generations from now. What has it become? What has become of it? We are intrigued. The moments right before it happens. That inevitable, that you always knew was around the corner, is here. This song takes us on a journey as an emperor of an ancient dynasty is surrounded by ministers and generals in his majestic courtroom as they plot an epic conquest.